FMS Tech - Fleet Management System > News > Blog > Do You Know FMS-Tech? 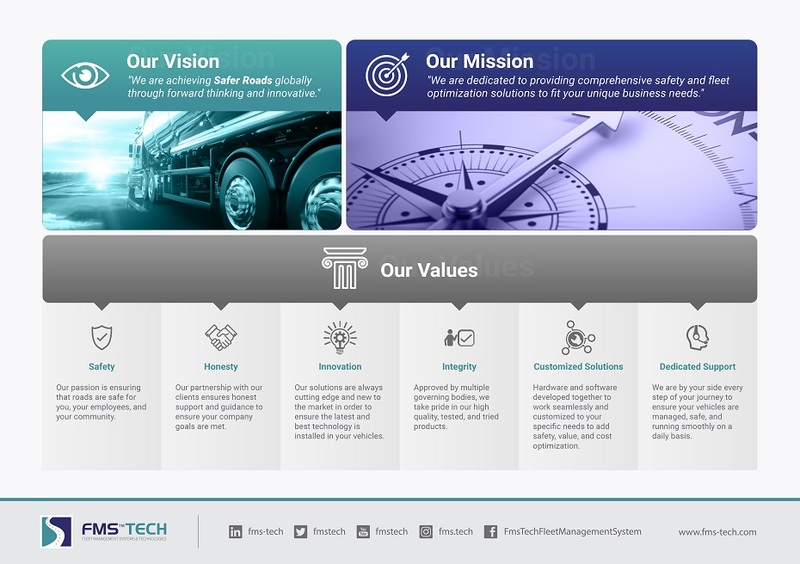 Here at FMS-Tech, we pride ourselves in our company’s personality which is driven by our Vision, Mission, and Values. These are the driving forces behind our goals and aspirations as a company, it’s what our employees live by and how we make decisions. Take a look at our Vision, Mission, and Values to get to know us better!